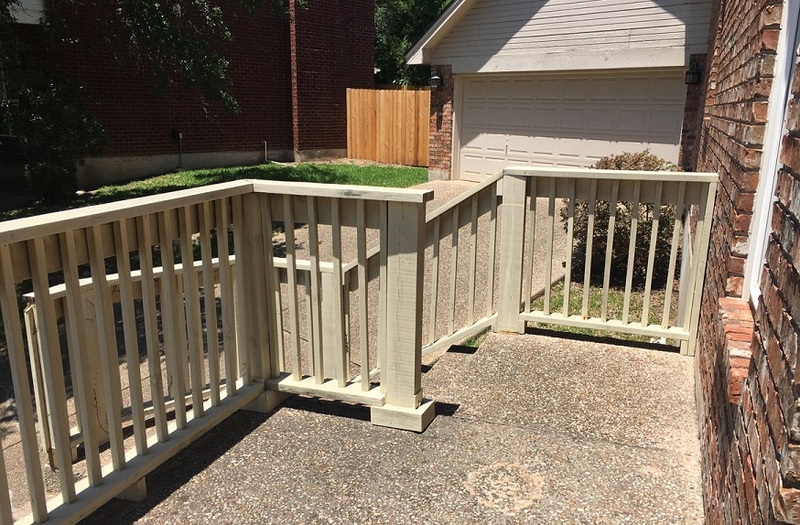 Archadeck of Austin will beautify and secure your aging, unsightly outdoor space. Many times, we look at our outdoor living area, and imagine all the ways we would like to update it. Of course, when we consider upgrading, we first imagine how we might improve the design, but have you considered the safety of your aging outdoor area? Security should be top priority in planning your outdoor space, because after all, we want to keep ourselves and our loved ones free from harm. Perhaps you have a deck with rotting floor boards, or as in this case, a large area of wood railing in need of replacement. We decided with these Lost Creek neighborhood homeowners to remove and replace their old railings in the first phase of improvements. 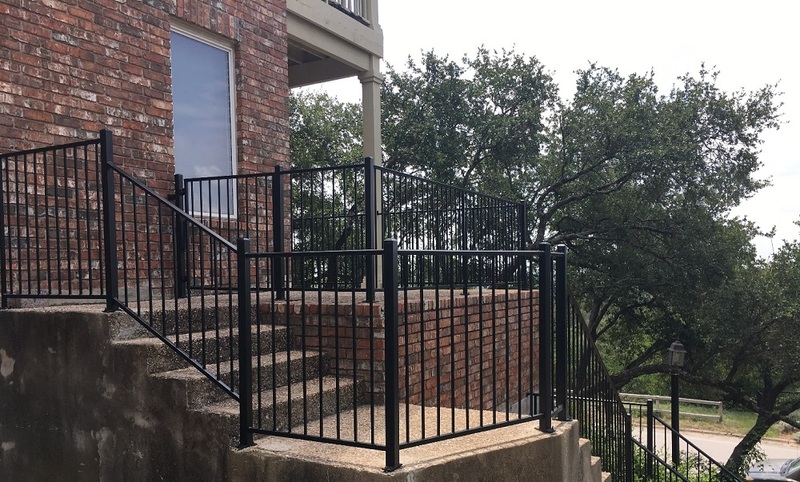 We got to work taking out the aged wooden railing, and supplied a new custom powder coated, fabricated wrought iron railing. For this phase of construction, the homeowners chose to have us repair many of the rotting wooden posts. In a future construction phase, we will replace the old posts, and add railing to the upper story. Archadeck of Austin will re-imagine your outdoor space with safety and aesthetics in mind. Wood is a beautiful and useful addition to the exterior of almost any home. Fact is, wood requires maintenance, which homeowners might neglect over the years. If you purchase a previously-owned home with a wood deck or railing, it might not be immediately evident that the wood requires replacing. Archadeck of Austin will help you identify issues with your existing outdoor space and provide a new one that will safely serve your family for many years to come. We will recommend products that will best suit your home and lifestyle. 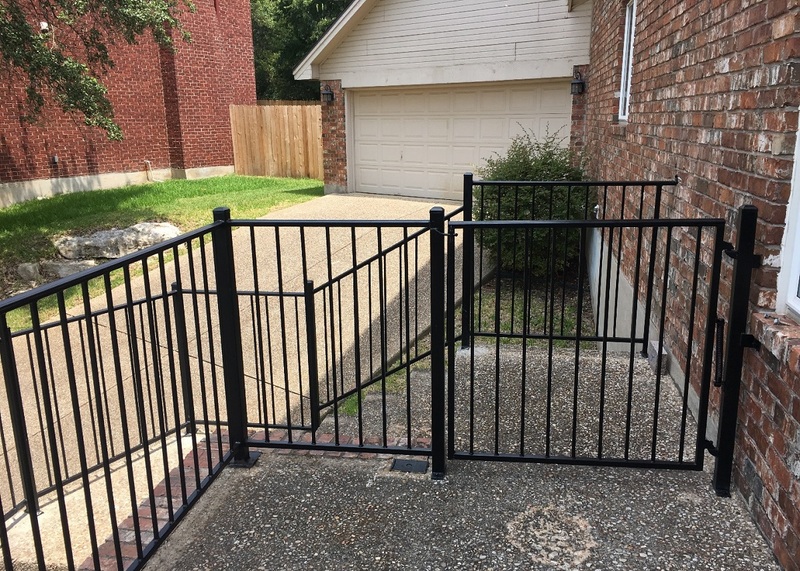 If you don’t have a lot of time to treat and maintain a wood, we offer low-maintenance options, such as powder-coated wrought iron, or composite materials by AZEK or TimberTech. 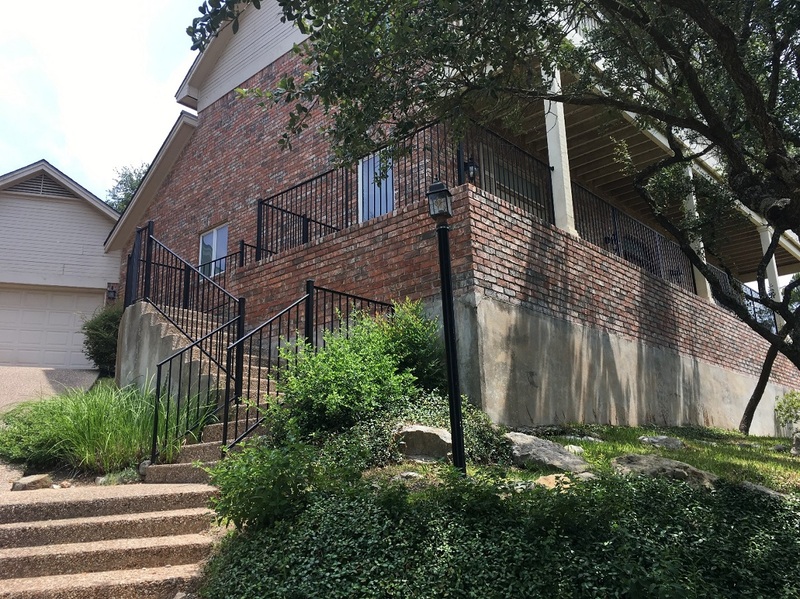 If your Austin home’s outdoor space requires safety and aesthetic improvement, contact Archadeck of Austin today at (512) 259 – 8282 or email us to schedule a free design consultation.